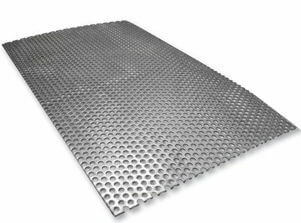 Renine Metalloys is a renowned manufacturer and exporter of UNS S31254 Sheets Plates Coils, which are characterized by a high chromium and molybdenum content. Duplex Steel UNS S31254 Plates are similar to the 300 series whereas they are iron base with significant additions of chromium, nickel, and molybdenum. 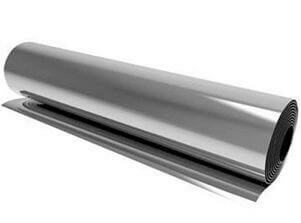 Ambient and sub-zero temperature notch ductility of Stainless Steel SMO 254 Coils is very good. 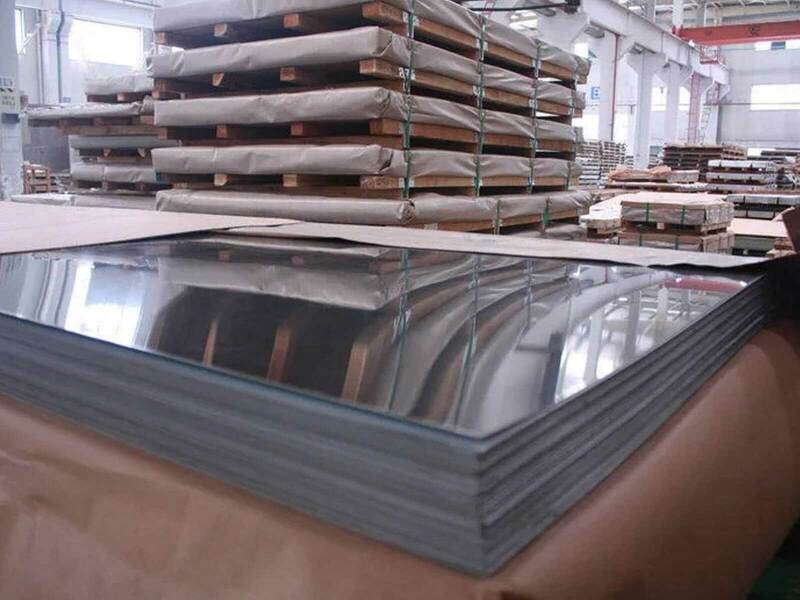 Molybdenum in Duplex F44 Sheets is used as an alloying agent in certain grades of steel (a series of alloys which contain varying proportions of Cr, Co, W and Mo, are very hard and are used in cutting tools and to protect surfaces subject to heavy wear). Duplex S31254 Plates have a good resistance to stress corrosion cracking, the development of steels with a better weld ability started. 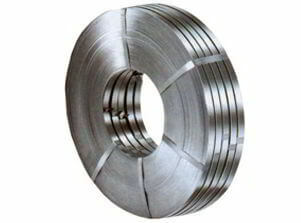 The typical PREn of 42-44 of Duplex Steel DIN 1.4547 Coils ensures particular use as an alternative to the 300 series alloys in applications where higher mechanical properties are required. 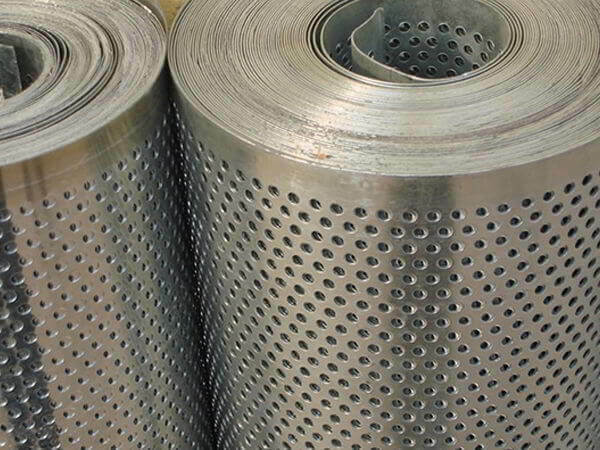 Duplex Alloy S31254 Sheets is used for paper bleaching vats, piping and condensers, and pollution control systems, where industries predominantly using this alloy are Chemical processes, Oil and gas, etc. 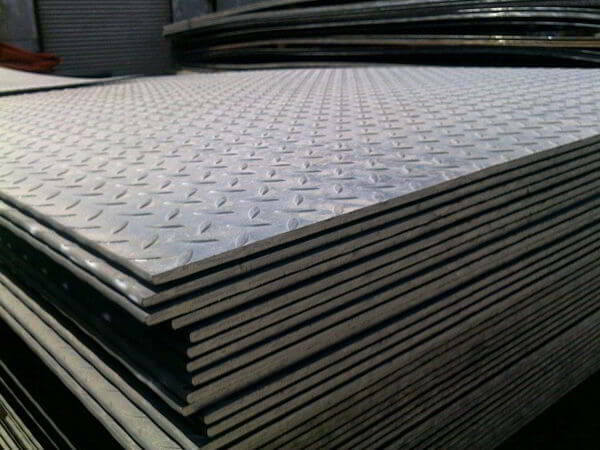 Alloy 254 Plates has high resistance to general corrosion and high resistance to stress corrosion cracking. Duplex Steel S31254 Coils can be further manufactured and supplied in a variety of sizes and pressure ratings to meet project specific requirements of our customers. 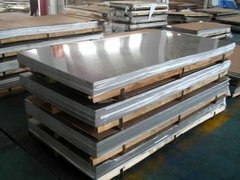 SMO 254 UNS S31254 hair line surface finish Sheets, Stainless Steel SMO 254 UNS S31254 Cold Rolled CR Coil Exporters in India, SMO 6MOLY UNS S31254 Polish Finish Coils, Type S31254 Duplex Half Hard Steel Coils, F44 Duplex UNS S31254 embossed Plates Vendors, UNS S31254 Alloy 254 Floor Plates, UNS S31254 6MOLY Diamond Plates, Low price SMO 254 UNS S31254 Decorative Sheet Plates, PE or PVC coating surface Finish Alloy 254 sheets Stocks, Duplex F44 UNS S31254 Perforated Sheets Traders in C.P.Tank Road, SMO 254 UNS S31254 Rolled Floor Plates Stockists in Mumbai, DIN 1.4547 254 SMO HR Hot Rolled Coils, Alloy 254 UNS S31254 Mill Finished Sheet, Buy Duplex Stainless Steel UNS S31254 F44 Hollow BA Finish Sheet, Stainless Steel SMO 254 UNS S31254 F44 Slitting Coils, sand blast Finish Duplex F44 Plate, Brush Finish Alloy 6MOLY S31254 F44 Sheets Stockyards, ASTM A240M SMO 254 Cold Rolled (CR) Coils, ASME SA240 SMO 254 S31254 Strip Manufactures in Mumbai, Alloy 254 UNS S31254 F44 Foils, UNS S31254 F44 Duplex HR Coils, SMO 6MOLY Circles, 6MOLY UNS S31254 F44 Rings, Alloy 254 Blanks, SS SMO 254 UNS S31254 Flats, 6MOLY SMO 254 UNS S31254 F44Profile, UNS S31254 F44 6MOLY Rolls, ASTM A240 SMO 6MOLY One side Polished Sheets, UNS S31254 SMO 254 Both Side Polished Sheet and Plate, Alloy 254 UNS S31254 Bead Blast Finish Sheets Exporters, 6MOLY UNS S31254 Sheets, Alloy 6MOLY UNS S31254 Sheets, Alloy 254 Plates, Stainless Steel SMO 254 UNS S31254 Plates, SMO 6MOLY UNS S31254 Coils, Alloy 254 Coils Suppliers, ASTM A240 Alloy 6MOLY Sheets Plates and Coils, Ferritic / Austenitic Duplex Stainless Steel UNS S31254 Sheet Plate & Coil Stockholders in Maharashtra, SMO 254 UNS S31254 F44 Hard Tempered Coils Stockists, SMO 6MOLY UNS S31254 F44 Full Hard Tempered Sheet & Plate, Alloy F44 UNS S31254 Sheets, Alloy 254 F44 Plate, Alloy 6MOLY F44 UNS S31254 F44 Coils Dealers, Duplex Stainless Steel UNS S31254 F44 Shim Sheets, UNS S31254 F44 Alloy 254 Plain Sheets, Cheap Alloy 254 Chequered Plates, UNS S31254 6MOLY Coils, SMO 254 DIN 1.4547 Cold Rolled Plates wholesaler in Charni Road, ASME SA240 F44 Duplex UNS S31254 CR Sheets Manufactures in Mumbai India. Ho Chi Minh City, Haryana, Busan, Ranchi, Hanoi, Rio de Janeiro, Kolkata, Dallas, Australia, Ulsan, Algiers, Granada, Vung Tau, Port-of-Spain, Tehran, Kanpur, Geoje-si, Dubai, Los Angeles, Toronto, Brisbane, Pune, Perth, Karachi, Sydney, Singapore, Moscow, Bangkok, Istanbul, Jeddah, Montreal, Atyrau, Petaling Jaya, Thane, Courbevoie, Nagpur, Lagos, New York, Kuala Lumpur, New Delhi, Madrid, Gurgaon, Muscat, Cairo, Ernakulam, Surat, Mumbai, Pimpri-Chinchwad, Milan, Bogota, Coimbatore, Doha, Al Khobar, Edmonton, Howrah, Ludhiana, Caracas, Al Jubail, Bengaluru, Thiruvananthapuram, Sharjah, Dammam, Vadodara, Rajkot, Seoul, Chiyoda, Jaipur, Abu Dhabi, Visakhapatnam, Noida, Colombo, Nashik, Secunderabad, Jakarta, Kuwait City, Manama, Gimhae-si, Santiago, Bhopal, London, Ahmedabad, Faridabad, Chandigarh, Riyadh, Ahvaz, Mexico City, Hong Kong, Aberdeen, Indore, Lahore, Houston, Chennai, Calgary, Navi Mumbai, Hyderabad, Jamshedpur, Baroda, Turkey, La Victoria. Lebanon, France, Bahrain, Chile, Denmark, Poland, Azerbaijan, Germany, Thailand, Vietnam, United States, Belarus, Ecuador, Saudi Arabia, Indonesia, United Kingdom, Peru, Belgium, Greece, Bangladesh, Nepal, Croatia, China, Ukraine, Bhutan, Ghana, Libya, brazil, Oman, Hungary, Zimbabwe, Tibet, Brazil, Poland, Czech Republic, Yemen, Gabon, Serbia, Turkey, Ireland, Kenya, Trinidad & Tobago,Tunisia, Gambia, Iran, Colombia, Morocco, Nigeria, Philippines, Iran, Netherlands, Macau, Qatar, Afghanistan, South Korea, Malaysia, Mongolia, Norway, Bulgaria, Argentina, Jordan, Lithuania, Sweden, Italy, Austria, Venezuela, Canada, Hong Kong, Estonia, Chile, Finland, Mexico, Namibia, Russia, Spain, Portugal, Algeria, India, Taiwan, Romania, Japan, Slovakia, Australia, Costa Rica, mexico, srilanka, thailand, malaysia, Kuwait, Bolivia, Sri Lanka, Egypt, Puerto Rico, Israel, Mexico, Singapore, cyprus, United Arab Emirates, Kazakhstan, South Africa, Switzerland, New Zealand, Nigeria.